A heat wave is headed to the western U.S. this weekend. The record highs may start as soon as Friday, which some experts are even predicting may be the hottest day on record. Hottest day ever on Earth? With heat unlikely to subside even at night, experts are warning residents in affected areas about the dangers of high temperatures. 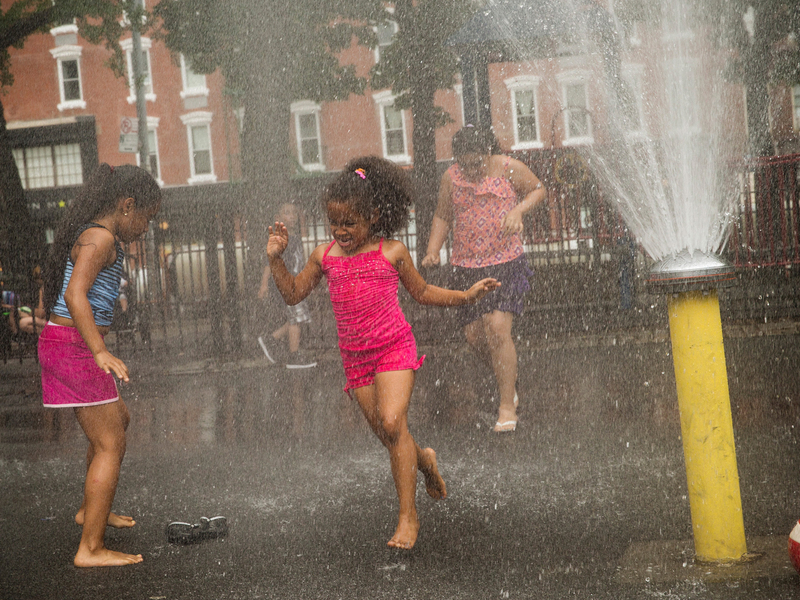 A June Centers for Disease Control and Prevention study showed that about 650 deaths each year from extreme heat could have been prevented. Heat can affect anyone, but most at risk are the elderly, children, the poor and those with pre-existing medical conditions. Also those who are outdoors often, like athletes and laborers, are also in danger. The number one thing that you can use to protect yourself from extreme heat is air conditioning, the CDC points out. If you don't have air conditioning at home, take a trip to a shopping mall, library, movie theater or other public health sponsored heat-relief shelter. If you have to be outdoors, try to schedule your activities to avoid the hottest points of the day. Take frequent breaks and cool showers or baths to keep your temperature down. Never leave a child, person or pet in a closed vehicle. In hot weather, people should stay hydrated and try to keep their body temperature down. Sipping on water may help you regulate temperature. "Water is the ideal fluid for hydration, and it is recommended to avoid excessive amounts of caffeine, which can lead to dehydration," Dr. Robert Glatter, an emergency medicine physician at Lenox Hill Hospital in New York, previously told CBSNews.com. "Sports or energy drinks, which contain high amounts of caffeine as well as sugar, and are not recommended in the setting of extreme heat as they also predispose individuals to great amounts of water loss and subsequent dehydration." Wear appropriate clothing for the weather, even if you are indoors. Loose, lightweight clothing in light colors is usually best. Make sure you pay attention to any heat-related announcements on local news or weather channels. Know what the signs of heat-related illness are: Two of the most common sicknesses during heat waves are heat stroke and heat exhaustion. Heat stroke occurs when the body cannot regulate its own temperature or increased heat production, which overwhelms the body's ability to get rid of excess heat. The victim may experience a body temperature higher than 103 degrees F, dizziness, nausea, confusion, headache and unconsciousness. Their skin may be red, hot and dry, and despite their temperature, they may not be sweating. Such patients may initially develop nausea, abdominal cramping, vomiting, muscle cramping dizziness headache difficulty breathing which can precede the onset of heatstroke, and may go unnoticed. "There are two forms of heatstroke which need to be differentiated," Glatter said to CBSNews.com. "Classic heatstroke, which occurs during heat waves, is more common in the elderly and very young persons. It should be suspected in elderly, young people, and older persons who are chronically ill who develop confusion and altered mental status,"he said. "Exertional heat stroke can affect young and healthy people who engage in vigorous physical activity in the heat," Glatter added. "It should be suspected in people with irrational and strange behavior in the heat, or a history of fainting during strenuous exercise. In this case, heatstroke is the result of increased heat production, which overwhelms the body's capacity to dissipate heat." If untreated, heat stroke may lead to permanent disability or death in either type. When you see someone experiencing heat stroke, get them to a cooler area and try to drop their temperature to 101 or 102 degrees F by putting them in cool water or a cool shower. Loosen or remove any heavy clothing. Do not give them anything to drink, and seek immediate medical attention. "If there is a major mood change like irritability, confusion or disorientation, seek medical attention immediately and start to cool them off with ice packs to the armpits, groin and back of neck," Dr. Thomas Waters, staff physician for Cleveland Clinic's Emergency Services Institute, suggested in a statement. When a person is having heat exhaustion, which is a milder form of heat stroke, they typically are reacting to a lack of fluids after being exposed to hot temperatures. Heat exhaustion can manifest a few days after the heat event as well. A person may have heavy sweating, paleness, muscle cramps, tiredness, weakness, dizziness, headache, nausea, vomiting and fainting. The person could have a fast, weak pulse and breathing rate, and their skin may feel cool and moist. If you see someone going through heat exhaustion, get them to a cool area and have they drink cool, nonalcoholic beverages. If their symptoms persist more than an hour, seek medical help.